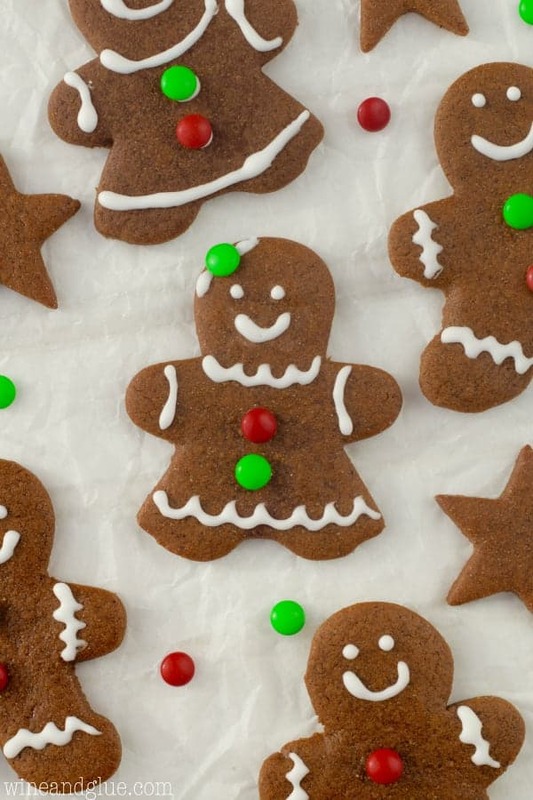 These Gingerbread Cookies make for the cutest Gingerbread Men. They’re soft, keep their shape and have the perfect spice! You guys! It’s the Christmas season!! I’m so pumped! If you are new to my blog, you probably should know that five years ago I lost my sweet little second son, Elliot. And just about 8 years ago, on the day my first kiddo was born, I lost my amazing mom. Guys, I miss them both so much this time of year. Okay, that makes it sound like I don’t miss them the rest of the year which is crazy. I miss them all the time. But Thanksgiving and Christmas can be especially hard. Though each year, and I’m getting better at it with each passing year, I try to really just focus on my kids and make it as magical for them as possible. Yesterday we did that by decorating the tree. Each kiddo has a bag of ornaments, including Elliot, and we hung them on the tree. I watched in silent horror as they grouped all the similar ornaments together in clumps on the tree. You guys. It took everything in me not to scream, lol. And we are making Christmas treats! 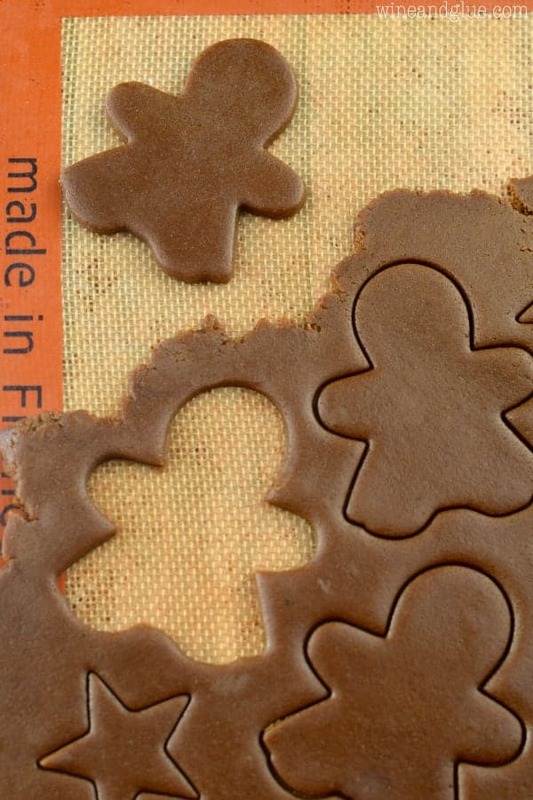 Confession: These Gingerbread Men were going to be a Gingerbread House for you guys (with templates for it and a photo tutorial on putting it together). But my templates aren’t as cute as I want them to be yet. Hopefully I can still get it together before like . . . New Years. Anyway, Gavin ended up helping me make this dough and when he saw the spices going in, he was incredibly skeptical that he would like it. But he looooooooved it. He loved the taste of the raw dough (use pasteurized eggs, guys), he loved how it smelled, he loved how the cookies made the house smell, and of course he loved the taste of the cookies! This recipe makes a BIG batch . . . like THREE DOZEN Gingerbread people. So if you aren’t baking for like a small army, you might want to cut it in half. And yes, it uses shortening, but I love that these have the taste of butter but the shortening helps them keep their shape. In a large bowl, combine the flour, spices, salt, and baking soda. Set aside. Beat together the shortening, butter, and sugar until light and fluffy, about three minutes. Beat in the eggs and molasses until just combined, scraping down the sides as necessary. Slowly beat in the dry ingredients, until just combined. Make sure to scrape down the sides and bottom of the bowl so it all gets incorporated. Refrigerate the dough for 20 minutes. Preheat your oven to 350 degrees. Working in small batches of dough, roll it out on parchment paper or a silicon baking mat until about 1/4 of an inch thick. 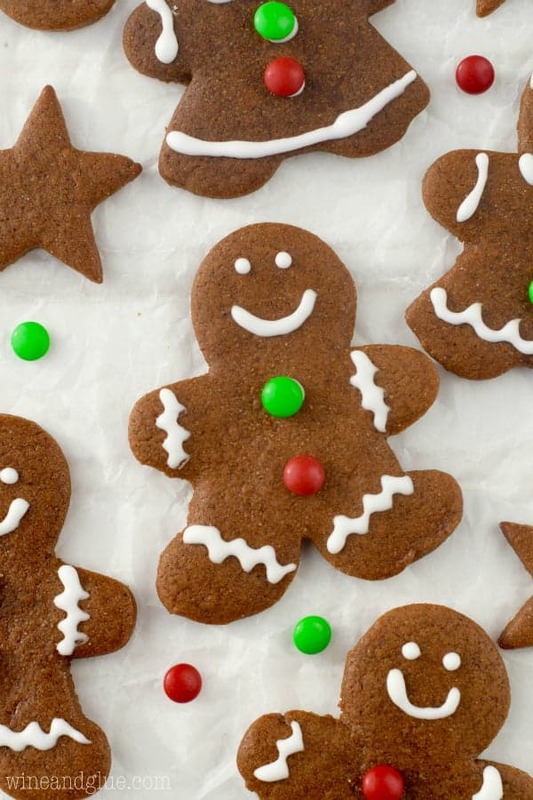 Cut out your gingerbread men and place them on baking sheets lined with parchment paper or a silicon baking mat . Bake for 10 to 12 minutes or until the gingerbread looses it's shine and just begins to crack at the edges. Remove from the oven and after two minutes transfer to a cooling rack to cool completely. Beat the ingredients for the icing until soft peaks begin to form. Using a small piping tip, pipe edging onto the cooled cookies. 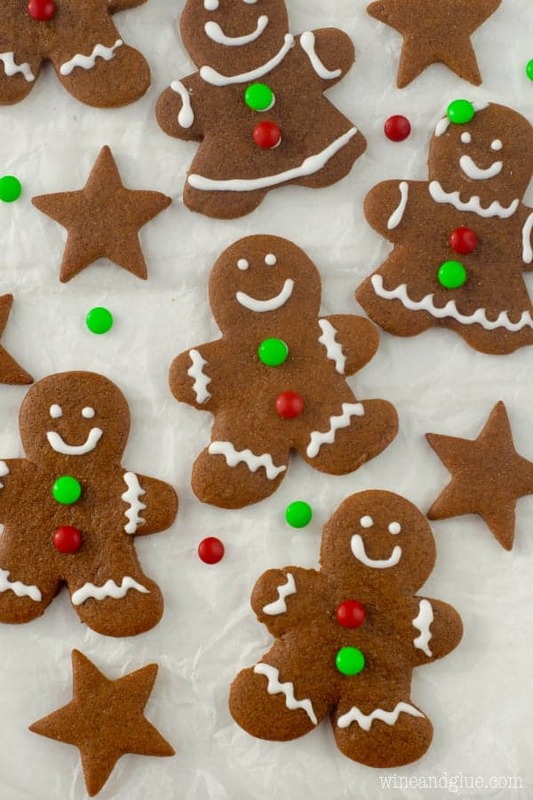 These gingerbread people are just adorable. 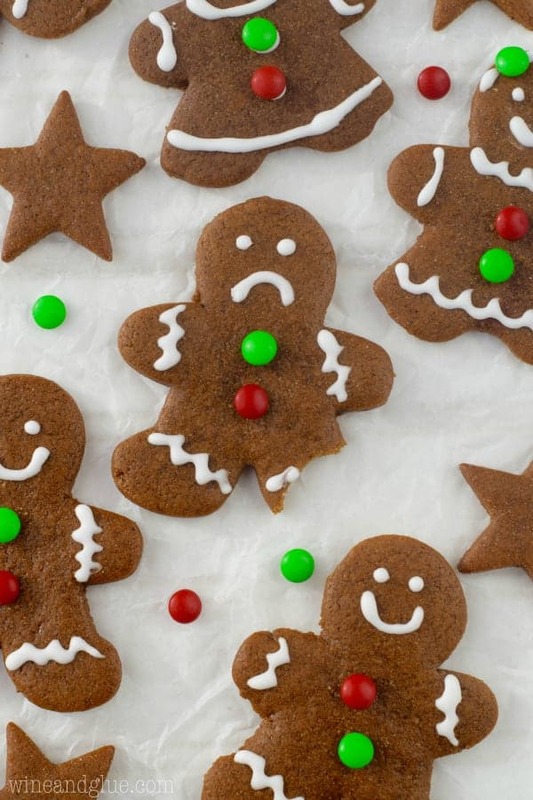 I love the sad faced one who lost his leg! I am so sorry for your loss. I can’t imagine how hard it is to get through this. We miscarried and that was tough too. I just know that we will meet again one day. This recipe is new to me. I must try this on next holiday for my Emma! Thanks Lisa for such an awesome recipe. Oh, my goodness. That cookie with the little sad face and broken leg. I want to take him home! Holidays can be a really intense mix of emotions, from missing those we love who are gone to enjoying what we have and being grateful for it. I think anyone dealing with all of those feelings is entitled to sit in a closet and eat cookies when things get overwhelming. Thinking of you!